Use LEAP Conveyancer’s smart legal document management system to file, retrieve and share matter information. LEAP Conveyancer automatically saves all versions of your documents to the related electronic matter making it easy to find the document you are looking for. The ability to pin your most important documents to the top of your Correspondence List, allows you to see everything that’s important. Electronically stored matter information provides the ability to integrate information into forms. Automation ensures you’re providing the same, correct information across multiple forms. You’ll save time and improve consistency. From LEAP Mobile you can upload, view, edit and save documents whether you’re at court, on the train, or visiting a client. There’s no need to worry about data backup costs and maintenance since unlimited secure storage is provided. 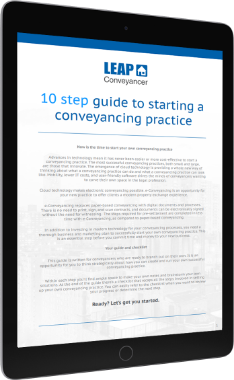 LEAP Conveyancer allows more control over the documents you share with your clients. Version control, tracking and the option to revoke access to documents is updated in real time. Large files that exceed email limits are easily shared, with the peace of mind that the documents are safely stored on Amazon Web Services.